When it comes to travel, there seems to be a gadget for every conceivable task, whim and wish. Some are invaluable while others are gimmicks that don’t live up to the hype or demands of tech-savvy globetrotters. We have come up with an essential list of multitasking travel gear that would make even Inspector Gadget jealous. Each of these cool travel gadgets has multiple uses. Some are a little quirky and others fun, but, most of all, these gadgets are items we actually use. The ExOfficio Storm Logic Jacket is a puffy jacket that is compressible and travel friendly. It rolls up into a built-in stuff sack and transforms into a neck pillow for lumbar support. The soft ripstop nylon is treated with water, wind and oil repellent to protect against the elements. An internal Travel Pocket System keeps all your items organized, safe and accessible from glasses to passport. 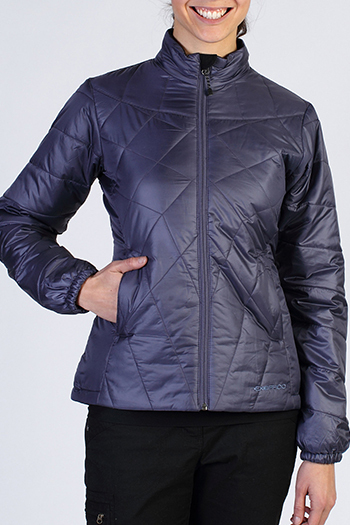 ExOfficio Storm Logic Jacket: $160 for both men’s and women’s styles. The jacket can be purchased online at ExOfficio or at any of its six retail stores, including JFK Airport Terminal 5 and SeaTac Airport and a variety of specialty travel and outdoor retailers, including Amazon and EMS. HomingPIN is a luggage tag that easily attaches around a suitcase, laptop bag, backpack, golf clubs, car seat or stroller. Here’s how it works: each HomingPIN luggage tag has a unique number that is registered and activated at www.homingpin.com. 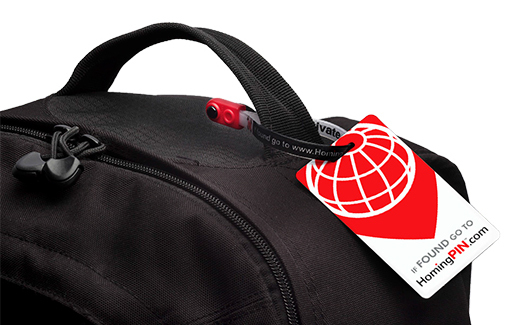 When a bag turns up missing, the airline or person who finds it can connect with the owner by entering the tag number at www.homingpin.com. Then, a text message and email is sent instantly to the owner, without releasing any personal information. The owner can quickly make arrangements to get their bag back directly or use HomingPIN’s global delivery option. HomingPIN is integrated into the baggage tracing systems in 2,200 airports worldwide, greatly reducing the time it takes to match a found bag to its owner. Travelers can also apply asset labels to valuables like cellphones, cameras and laptops that provide the same tracking capabilities. HomingPIN: $20 for a Standard Tag Pack includes three HomingPIN bag tags, 12 asset labels and a key ring or a Starter Pack with one loop and tag, one key ring and four stickers for $10. All HomingPIN packs come with a 12-month subscription included. Thereafter an annual subscription fee is $8 per year, which covers up to 30 items. HomingPIN can be purchased online at HomingPIN. At a loss for what to do with your stuff when you want to go for a swim? AquaVault provides a place to stick your valuables so you can take a worry-free swim. Featured on television show, “Shark Tank,” the outdoor safe keeps your money, watches, sunglasses and smartphone safe poolside and on beaches. Made of high impact ABS thermoplastic, the 120-square-inch lock box fits over most beach furniture. 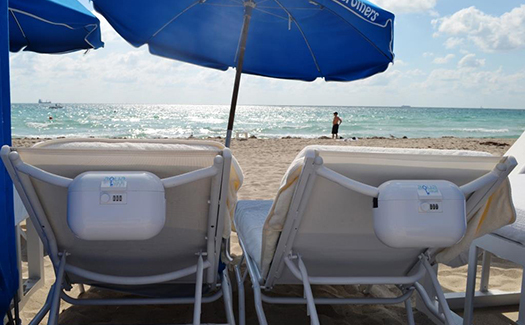 Whether heading to Miami or Hawaii, now no one has to stay behind when you want to take a dip at the beach. AquaVault can be purchased online at AquaVault. Travelers don’t have to fetch their gadgets from the overhead bin or scrunch down to get them out from under the seat with the High Altitude Flight Bag by Genius Pack. 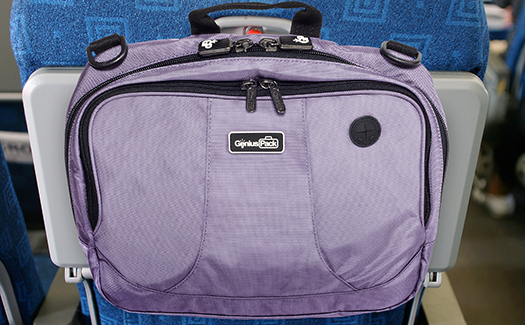 The carry-on bag attaches to the seat tray in front of you, allowing quick and easy access to essentials during the flight. The bag offers an option to recharge your smartphone directly from the pack when you integrate the Portable Mobile Charger. High Altitude Flight Bag by Genius Pack: $78.00. The Portable Mobile Charger is sold separately for $28. High Altitude Flight Bag by Genius Pack is available online at Genius Pack. For on-the-go entertainment or perfect business presentations, the Touchjet Pond Projector turns any flat surface like walls, the ceiling or a table into a supersized 80″ touchscreen that can be used with just the click of a stylus. 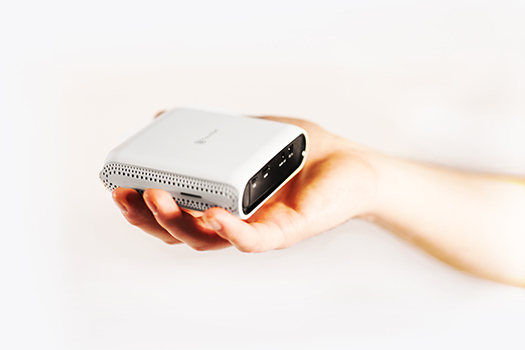 The super lightweight projector (it weights .6 pounds) has a built-in Android operating system, so users can download all the Android apps to the device itself making it an 80″ Android tablet that you can take on-the-go anywhere. Touchjet Pond Projector: $599 for the full package. The Touchjet Pond Projector is available for purchase at Touchjet and Best Buy. One of the most frustrating parts of traveling is not being able to find Wi-Fi or Internet access. The Tri-Fi Portable Wi-Fi & Powerbank is an unlocked Wi-Fi router that enables travelers to get online anywhere in the world on up to 10 gadgets like your phone, tablet and laptop. It also doubles as a powerbank that can charge your devices while you are out and about. It’s also a storage device that uses a micro SD card to store and transfer files. Tri-Fi Portable Wi-Fi & Powerbank: $170 (includes data SIM with extra credit). 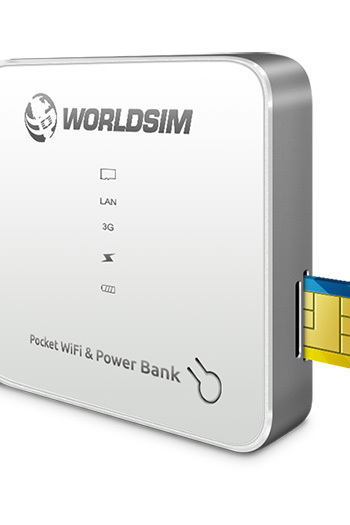 The Tri-Fi Portable Wi-Fi & Powerbank can be purchased online from WorldSIM. 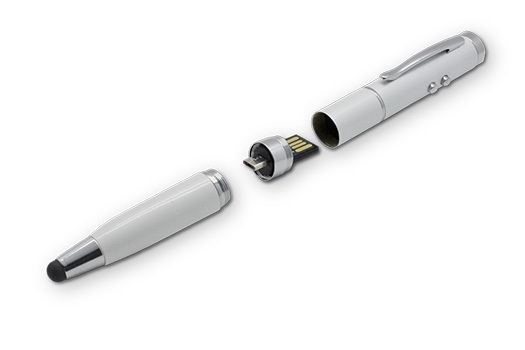 The 6-in-1 USB Pen is a pen, a stylus, a storage device, a flashlight and a laser pointer. The USB Pen enables users to save up to 8GB on it and transfer files. The 6-in-1 USB Pen can be purchased online from WorldSIM. Knomo has created a variety of stylish luggage that has dual functions like the Chepstow Wheeled Business Bag a wheeled suitcase that features two main compartments; one for a laptop and tech accessories and the other with elasticized pockets for clothing. From the Paddington Collection, the Chepstow Wheeled Business Bag is made from a soft and lightweight nylon that is water and dirt resistant and fits in an overheard plane compartment. 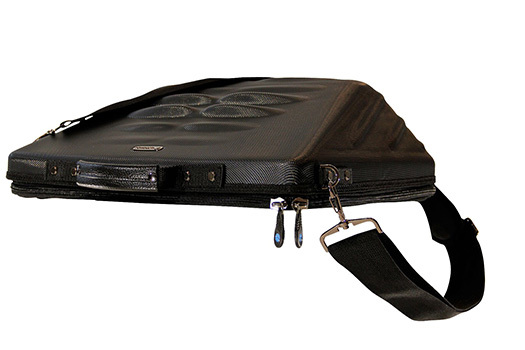 Like all Knomo products, the Chepstow Wheeled Business Bag has a unique “MyKnomo ID” for use if lost. The Chepstow Wheeled Business Bag can be purchased online from Knomo. Designed by professional makeup artist Nikki Hynek, Dollup Case is a custom travel makeup clutch. The Dollup Case is a twist on the traditional makeup bag because it blends the stylish look of a clutch with a customizable magnetic palette to streamline and slim down the makeup bag. There is a magnetic palette to store eye shadows, blush and powder; elastic bands that hold brushes, liners and lipsticks; and a functional mirror. The Dollup Case comes in six colors. The Dollup Case can be purchased at Von Maur department stores and online at Dollup Beauty. Never forget your headphones or deal with the hassle of untangling your earbuds. 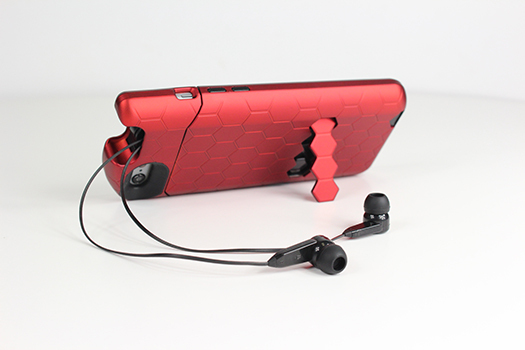 The TurtleCell iPhone case has integrated retractable headphones and a kickstand. The case and headphones come standard with a microphone and full button control for safe, hands-free calling. It is equipped with a seamless audio switch, which allows users to engage or disengage the headphones. The TurtleCell iPhone case for iPhone 6 comes in black, gold, red and silver and in black, red, aqua and silver for iPhone 5 and iPhone 5s. The TurtleCell iPhone 6 case can be purchased online at TurtleCell. 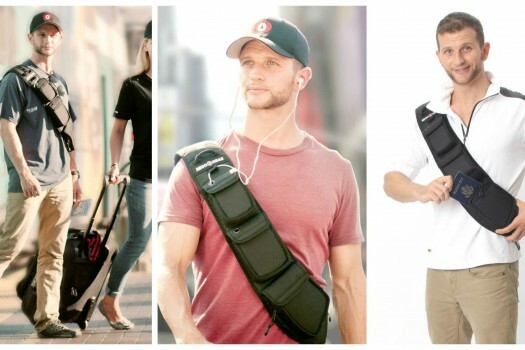 The versatile, modular and interchangeable PortaPocket provides travelers the perfect hands-free way to safely carry what they need. The PortaPocket goes beyond the standard neck or money belt as it works almost anywhere on the body – under or over clothes. 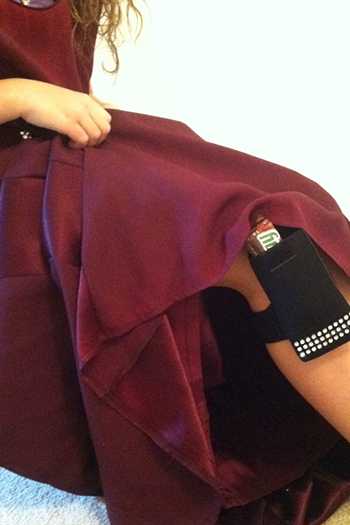 Made of neoprene, the PortaPocket is sweat and moisture resistant and adjustable. PortaPocket: $18-$35 for two or three piece kits in plain or sparkly styles. ​PortaPocket can be purchased online from PortaPocket. Dubbed “the world’s smallest washing machine,” the Scrubba Wash Bag is a lightweight, pocket-sized device that allows travelers to wash clothes on-the-go. The secret to the 5-ounce Scrubba Wash Bag is the hundreds of resilient nobules that act as a flexible washboard, a fusion of old and new technology allowing users to effectively wash clothes in a matter of minutes. When not in use to wash clothes, the Scrubba Wash Bag can double as a dry-bag to keep valuables safe. 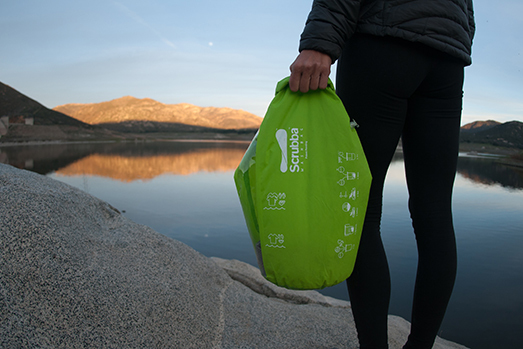 The Scrubba Wash Bag can be purchased online at www.thescrubba.com and in-store at REI or Cabela’s. Never “stop and squat” to dig out your passport or smartphone. Rego Gear‘s front-pocket Metro Sling Plus 550 is a front pocket sling that provides instant access to items when traveling, hiking and biking. The sling even stays in place when the wearer is upside down! The Metro Sling 550 can be purchased online at Rego Gear. 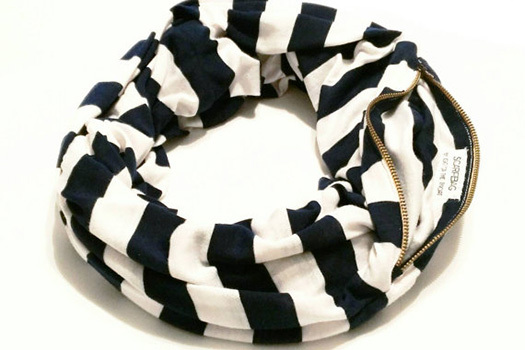 The SCARFBAG is an infinity scarf with a hidden zippered pocket sewn in to stash extra cash or valuable jewelry; the pocket is big enough to hold a cell phone, ID, credit card and lipstick. A variety of SCARFBAG designs can be purchased online at Etsy. GoPillow! is a wearable breastfeeding pillow and blanket that provides privacy during public breast feedings. The Go Pillow! has a retractable blanket which tucks neatly inside an invisible compartment and doubles as a changing pad for caregivers on the go. The GoPillow! comes in baby blue and pink. The GoPillow can be purchased online at Simple Necessary Inc.
Trunki is a ride-on, wheeled suitcase for kids. Trunki easily fits in a plane’s overhead compartment and comes with a shoulder strap in case mom or dad needs to pick it up for a mad dash to the gate. Trunki can be purchased online at Trunki. MoJoe Brewing Co. has created mojoe, a portable brewer and mug that allows coffee aficionados to brew coffee on-the-go. 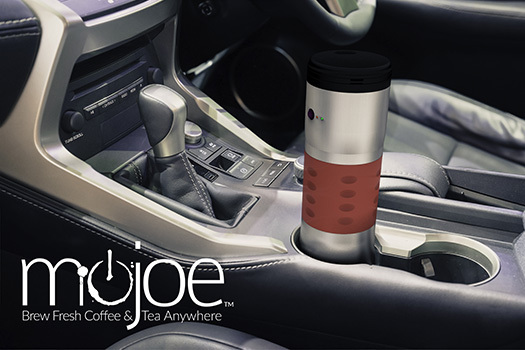 The mojoe is powered via 12V car charger, wall outlet or rechargeable battery and has a spot to pre-load coffee, sugar and cream. The mojoe can be purchased online at Mojoe Brewing Co.
No cellphone signal? No problem! 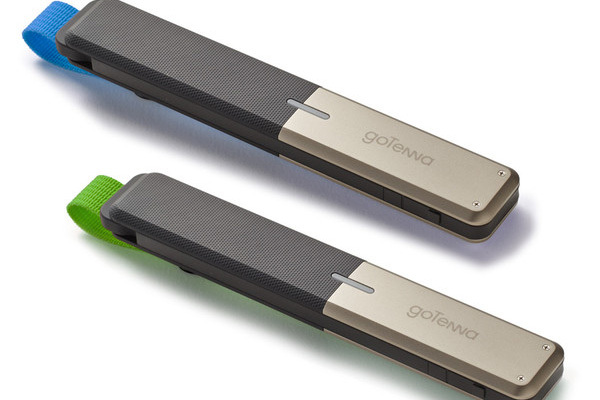 goTenna is a portable device that allows you to be your own cell tower. With the goTenna, travelers can text and send their location no matter where they are, no cell towers, data or service is required. goTenna: $149.99 for a set of two – one for you and one to share (pre-order price; product ships fall 2015.). goTenna can be purchased online at goTenna. The ultimate gadget for any explorer, the SP-5004 Bluetooth Lantern & Flashlight is an eight-ounce, handheld Bluetooth speaker, lantern and flashlight. 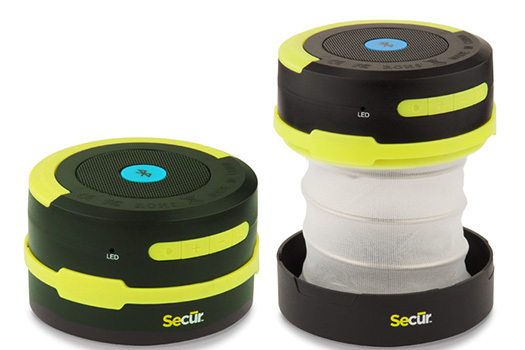 Secur SP-5004 Bluetooth Lantern & Flashlight can be purchased online from retailers like B&H. Globetrotters need a good charging hub. 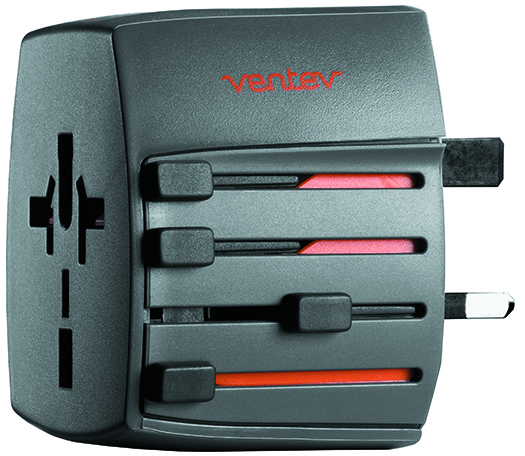 Ventev Mobile’s global charginghub 300 is a universal travel adapter capable of charging devices across 150 countries. The global charginghub 300 has four AC prong configurations and can charge two devices at the same time without losing access to the three-prong outlet. global charginghub 300 can be purchased online at Ventev Mobile. 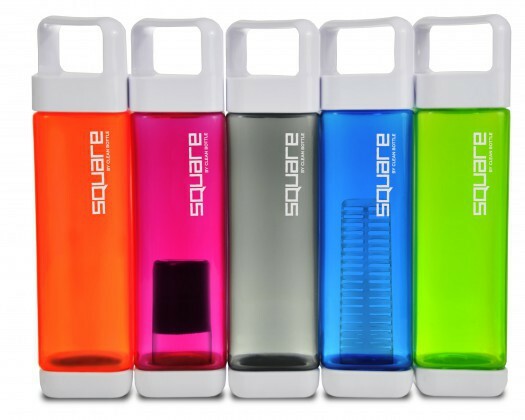 The Square 2.0 is no ordinary water bottle. It square shape fits inside a car’s circular cup holder and its ends are both removable, making it easy to clean. It also comes with insertable modules like a charcoal water filter and fruit infuser. Made of BPA-free Triton plastic, the bottle has a wide ergonomic handle for easy toting. The Square 2.0 can be purchased online at Clean Bottle. LEGGAGE is a sleek laptop and carry-on bag that doubles as a relaxing foot rest and massager. Designed for long-distance travelers. LEGGAGE is made of a hard polycarbonate shell and weighs just over three pounds. 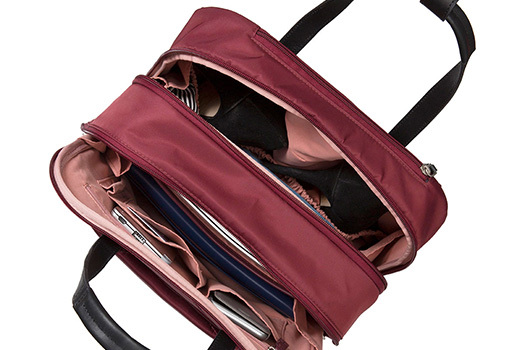 It fits easily under an airplane seat and slides over a luggage handle for easy traveling. Nine of the most popular massage positions for feet and legs are detailed here. LEGGAGE can be purchased online at LEGGAGE. Previous ArticleQUIZ: Which of the Avengers should you travel with?